Welcome to the English Mistletoe Shop. We are a small, winter season business supplying mistletoe-themed products. April 2019 update: Grow-Kit ordering is now closed until next season – we will recommence taking orders in October. Grow -Kit Gift Cards can still be ordered and delivered at any time but we will not be despatching actual Grow-Kits until February/March 2020. 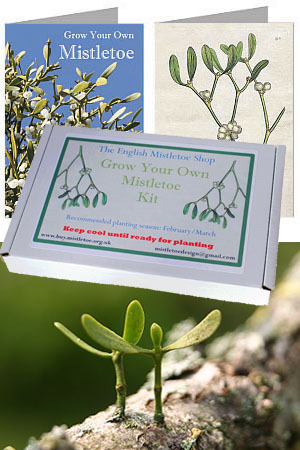 We specialise particularly in mistletoe grow-kits, books and cards. Our mistletoe is harvested from farms across the English mistletoe heartlands of Worcestershire, Gloucestershire & Herefordshire. Shipping: We usually send Gift Cards, Books and Postcards within two working days of your order. Click the links above or use the menus to see more information on each item. We are not selling mistletoe itself online this season. Our aim is to provide a professional service, supplying high quality and freshly harvested mistletoe products, drawing on our experiences with the original Tenbury Wells online mistletoe business which we helped establish and run from 2004 to 2009, and on the expertise of mistletoe expert Jonathan Briggs, who is a key part of our team. We are entirely online – we do not have a shop that you can visit. All our pricing is inclusive of UK postage. If you need delivery outside the UK you’ll need to contact us before ordering. Some of our products cannot be sent abroad. Despatch arrangements and timing vary according to the product bought. Grow-kit Gift Cards, Mistletoe Books, and Postcards are normally despatched within 48 hours of your order. 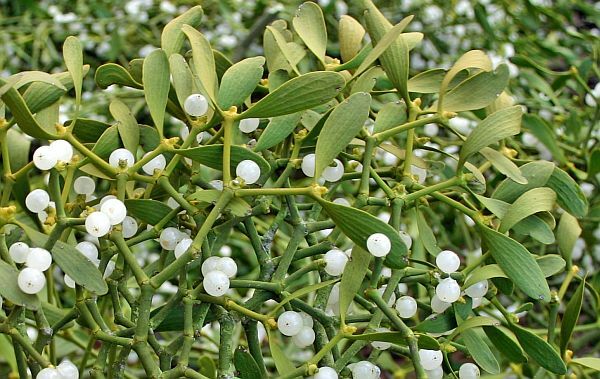 For the actual Mistletoe Grow-Kits we ask you to choose a despatch fortnight in spring. Please see individual product pages and our FAQ page for full details. For full Contact Information visit our FAQs page. We are entirely web-based and do not have a physical shop.